Tank Gawd It's Friday - Favorite Military Themed TV Show? Tank War Room wants to know what your favorite military-themed TV show is! It’s that time again for another Tank Gawd It’s Friday. In this series, we answer a question related to World of Tanks, the military, other video games, or really anything just before heading out for the weekend. However, part of what makes this series great is the fact that we can hear from you, our readers. We’ll start the conversation by answering the question ourselves, but we encourage everyone to answer in the comment section below. We’ll also be looking through your responses and choosing one (or more) of our favorites, giving the winner an M4 Improved bundle in World of Tanks. Besides the tank itself, winning will also mean you get the garage slot to put it in, some Gold, Premium time, and a few boosters to finish it all off. Note: The contest is open to North America PC players only, and your response must be on the article itself to be eligible, not Facebook or Twitter. 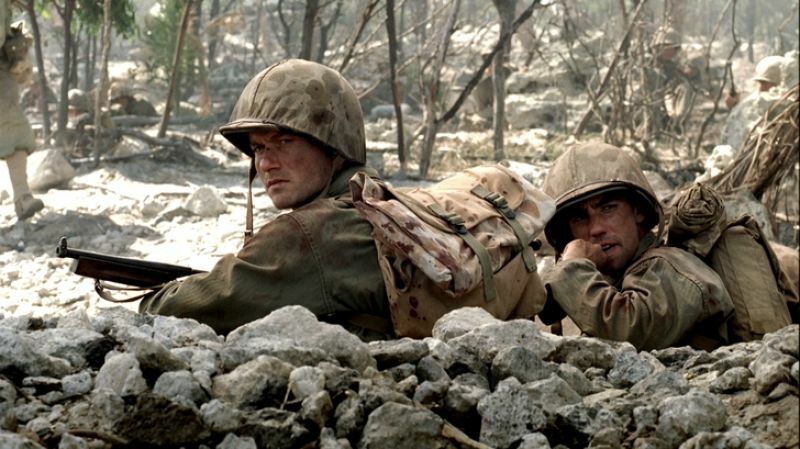 Question: What’s your favorite military-themed television show in history? Picking my favorite military-themed television show is definitely a difficult question to answer, as I grew up in a time where military tv shows were either produced well before my time or only available on Foxtel (Australia’s version of cable, but about a thousand times more expensive and terrible). The selection I had growing up was severely limited, which leads to a situation where I don’t have a foundation of military television-watching to build off of - I actually missed the Band of Brothers when it was originally released because I hadn’t garnered a major interest in the genre. 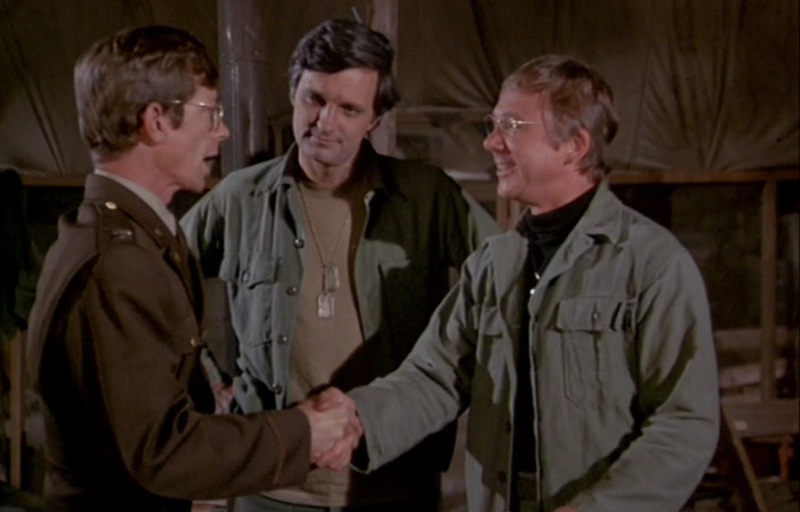 However, if I was to give an answer for my favorite military-themed television show, it would have to be M*A*S*H. I remember coming home from school and sitting down in front of my television set to do my homework and watch the stories of Hawkeye, Major Frank, and Hot Lips Houlihan as they struggle through the Korean War. In recent years, I’ve really wanted to check out The Man in the High Castle. The idea of “what if” scenarios really intrigue me. Well, I’m about to give the same answer that I did when we asked people about their favorite war movie in history. Band of Brothers, although technically a mini-series, is definitely my favorite of all time. Although I have no experience to say so, it felt as if it captured World War II in a way that other movies and television shows failed. Granted, I’m not a massive war movie buff like many of our readers, but even if my opinion lacks experience, that series really spoke to me. From a purely entertainment standpoint, I enjoyed the first season or two of The Unit. I’ve always been into special operations movies and television, so it had me right where it wanted me. I did try to watch an old episode a few days ago, but I just couldn’t get back into it. I felt that they got a little too loose with the writing at the end. I'd have to say that my favorite military-themed TV show is also Band of Brothers. The production is well made, but what intrigued me was the interesting character portrayals. I put this show at the same level as Saving Private Ryan in terms of quality, but with the added benefit of spending more time with the characters over multiple episodes. A lot of great actors make appearances in the show, including Tom Hardy. Plus, seeing "Ross" from Friends transform into a snarky villain definitely added to the show's value. My second choice would have to be The Pacific. it's got a different feel to it than Band of Brothers, not only because it's on a different front, but because the characters have a whole new set of quirks to them. HBO has a great track record for making military-themed shows, so if they ever decide to make another show like these, I'll definitely be looking forward to it. While it isn’t strictly military-themed, I would have to go with The Man in the High Castle. It’s an interesting look into what might have happened if Germany had prevailed during World War II and it has a pretty balanced mixture of drama, suspense, and action. Without revealing any spoilers, there’s also an underlying element of fantasy as well which serves as a subtle yet constant hook to keep the viewer guessing. I haven’t read the books off of which the show is based, but considering how entertaining the show is, I’d be willing to guess that fans of the books who went into the show were happy with how it turned out. Now it's your turn! Let us know what your favorite military-themed television show is in the comments below. Also, if you'd like to win the M4 Improved bundle, feel free to mention it in your comment as well so we know you're trying to win.